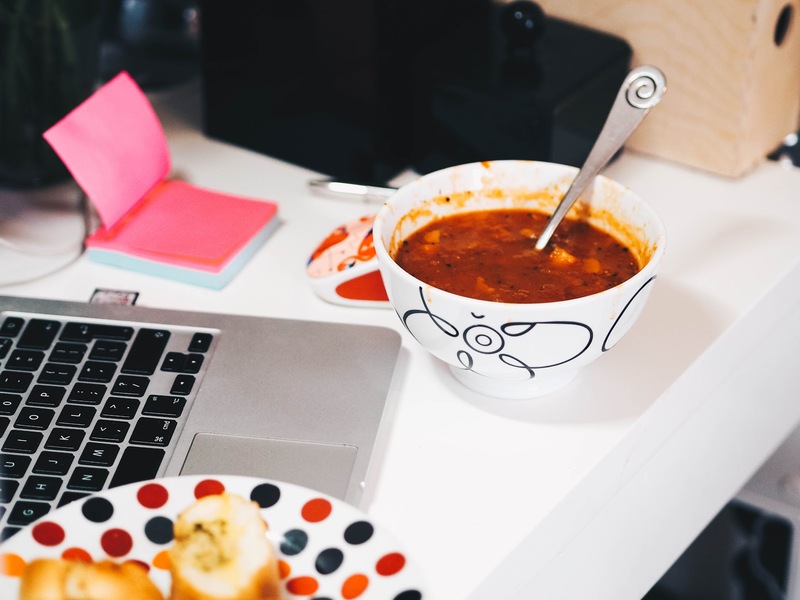 Making lunch exciting when you work from home can be quite the chore. I often switch my lunch up; going from sandwiches, soup, noodles and the infamous beans on toast dish. A brand of soup I had never tried before was Baxters. So, when they got in touch to ask me if I was up for a new lunch challenge, of course I said yes! 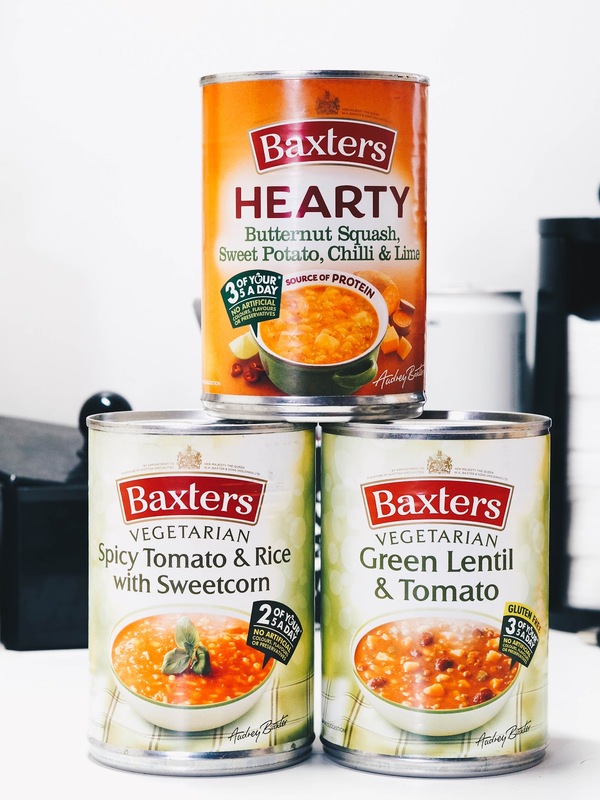 Baxters have four different ranges of soups, which I was so pleased to find out. There are 22 soups in their Favourites range. These include classics such as: Cream of Tomato, Chicken and Vegetable and Minestrone. Secondly, there's the Vegetarian range and the Hearty range; which are slightly more filling as they contain more wholesome ingredients. Lastly, there is the Chef Selections range; a slightly more distinctive and unique flavour range, but equally as yummy and nourishing. I was sent over ten tins of soups; 5 from the Vegetarian range and 5 from the Hearty range. The idea of the challenge was to ditch sandwiches and warm up a soup in the microwave for lunch. The challenge lasted two weeks and I had one soup for every working day (Mon-Fri). I tried out the ones in bold and they were all very delicious. I was surprised to see how full up I was after eating the soup. I didn't have bread to accompany with every soup I had, as the majority of the time I was too full up for any added extras. Again, the ones in bold are the ones I tried and are without a doubt my favourite soups out of both ranges. I am a big fan of beans in food, so it is great to see so many soups with beans. I thoroughly enjoyed each soup and range between 75p and £1.48 at ASDA. They are also available in most supermarket retailers. For a cheap and cheerful lunch or dinner, you really can't go wrong. 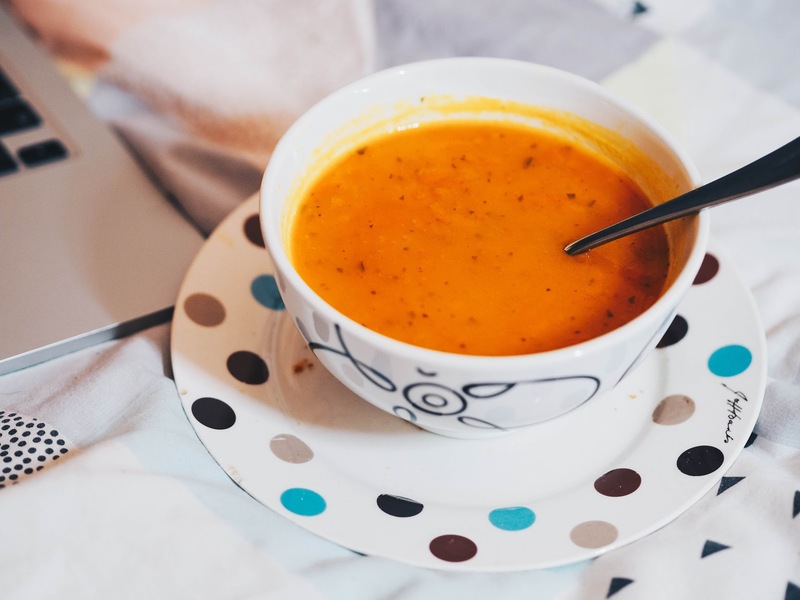 Don't forget to take the Souper Swap quiz to find out what your lunch says about you! Disclaimer: In collaboration with Baxters. I like eating soup at lunch time, but haven't tried this range yet. Will have to give them a go as I like to ring the changes. Soup is such a great lunch idea, so many varieties here! I like the sound of the tomato, chorizo and mixed bean. Baxters have so many different varieties in their two ranges and many of them look delicious. Soup is often a go-to meal for me for lunch and I will have to give this brand a try. I work from home and eat some sort of soup for lunch nearly every day. Can't wait to give Baxter's a try .. the Mediterranean Tomato and Carrot & Butterbean will be high on my wish list! I have tried some of these soups and they were quite nice I must say I must try and get my hands on some more of the range to try. My days are so busy that lunch can sometimes be a challenge. Being able to have a nice bowl of soup oftentimes is a quick way to fit my lunch in. The Hearty range has some wonderful sounding soups and would be filling enough to carry me through to dinner. I have not had soup for lunch in ages. Need to try this. That is so awesome that you got to test out their soups! They all sound delicious just by their name. Even though I'm not a vegetarian, I think it is great they cater to those that are. I would love to the butternut squash, sweet potato, chili and lime soup. Ooh I really like the sound of the Hearty soups especially the Squash & Sweet Potato one. I'm all in favour of not having to top up with bread to beat my hunger. I love a good soup, especially when it is so well priced! These soups sound great and I like the fact tgat there are so many vegetarian options.